If you could see my office and house these days you would immediately recognize that I have a deep interest, okay maybe a passion, for illustrated books. This year the picture books, graphic novels, biographies, and illustrated nonfiction, each with colorful sticky notes peeking out like antennae, are piling up in even greater numbers than usual. The tall stacks and long rows of large and small books may seem half-hazard, but the spreadsheet and notebook that go along with them tell a different tale. This year my work reviewing and evaluating books has taken on a new significance. I’m honored to serve on ALSC’s 2018 Caldecott Award Committee and that means I not only have to believe a book is exceptional, but I have to be able to talk about why the book and, in particular, the illustrations are worthy of the prestigious award. Those sticky notes have purpose! Each book in my growing collection is methodically evaluated using a rubric of sorts that draws on award criteria, research, and my experience working with children and teens. My work evaluating media doesn’t stop with the paper book. While my book shelves and almost every nook and cranny of my office and home are filling up with Caldecott submissions, I continue to reserve space, virtual and real, for the apps, movies, video games, and programmable robots that all play a role in the daily lives of my community’s kids. As a media mentor, finding high quality media, in all of these formats, is an essential part of my work supporting the information, literacy, and media needs of my community’s families. The KIDMAP Checklist is designed to help reviewers, educators, librarians, and caregivers find and create digital media that is high quality and relevant to families with a variety of experiences. And while being glitch-free, entertaining, and age-appropriate is important, high quality also means being inclusive and rich in diversity. As with paper books for kids, digital media should provide a mirror, window, and sliding glass door; allowing kids to see themselves reflected in the stories told and learn about worlds beyond their own. The extensive checklist, made possible with the financial support of the Joan Ganz Cooney Center, includes sections addressing digital media’s content, art, audio, audience, purpose, functionality/navigation, support materials, and creative teams. The checklist can be used as a rubric or guide in both selecting digital media and designing it. New media is, well, new, but many elements of high quality traditional media can be applied to digital content and formats. Traditional media’s slow progress to broaden diversity and be inclusive does not need to be replicated however. The checklist will eventually be available as a download and we expect to update it. Please use the checklist as you evaluate, select, and create digital media for kids and feel free to send your comments and questions about the checklist to KIDMAP. 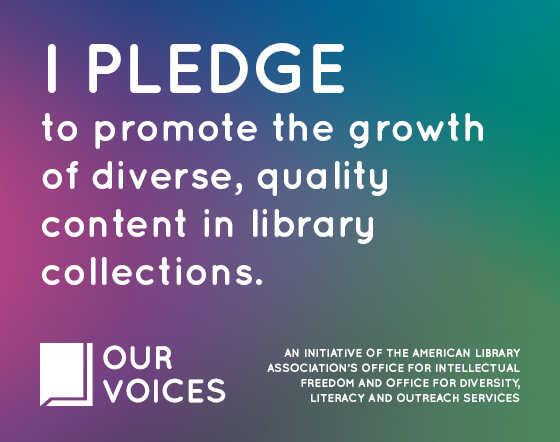 Note: As a librarian and media mentor, I am especially excited by the ALSC Board of Directors decision in 2016 to recognize high quality digital media for young children (Excellence for Early Learning Digital Media) and I look forward to seeing the product of their first year’s work!